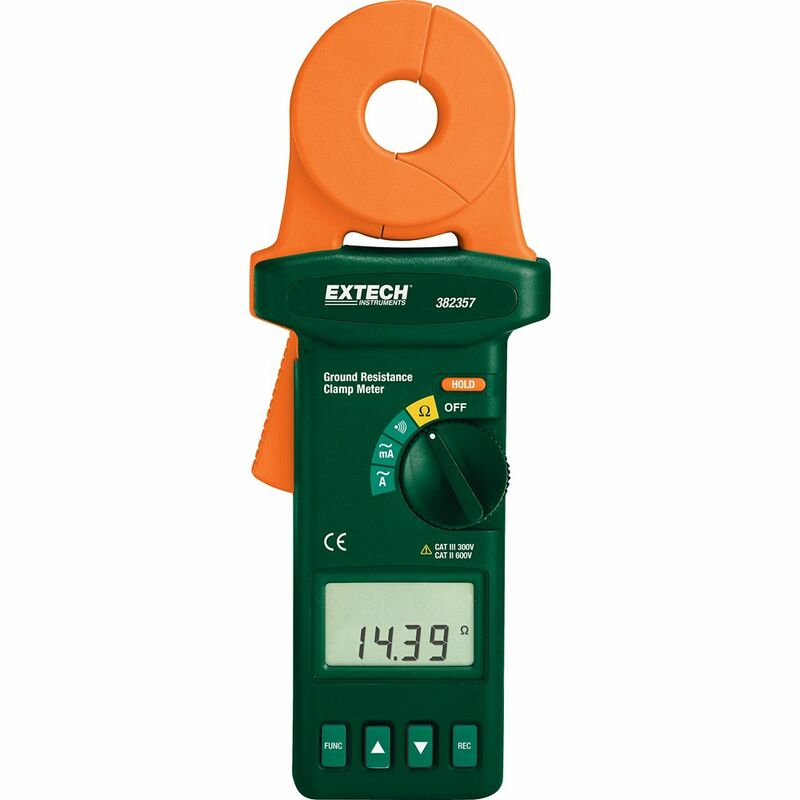 The 382357 is a Clamp-On Ground Resistance Tester that enables non-contact measurements of ground conductors. Tester does not require the need for auxiliary spikes. Complete with 9V battery, resistance check plate and durable metal storage case. This ingle range voltage tester tests for voltages from 80250 V AC/DC. Patented, snap-in leads are spaced to fit a standard outlet for easy, hands-free testing. Compact ergonomic design also offers bright Hi-Vis voltage indication for quick visual reference. Clamp-on Ground Resistance Tester The 382357 is a Clamp-On Ground Resistance Tester that enables non-contact measurements of ground conductors. Tester does not require the need for auxiliary spikes. Complete with 9V battery, resistance check plate and durable metal storage case.